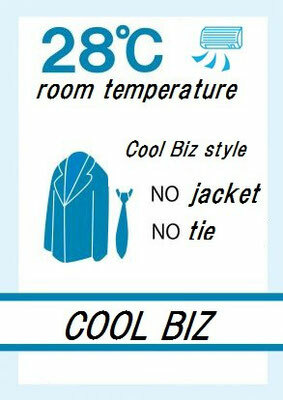 Do you know "COOL BIZ"? “cool biz" is a term made up from the words “cool” and “biz” (an abbreviation for business). It’s the name of the campaign the Japanese Ministry of Environment began advocating in the summer of 2005, as a way to help reduce CO2 emissions and electricity use by turning down air conditioners to 28 degrees in offices. cool biz campaign usually runs from June until the end of September. During that period, the most of businessmen in Japan take off their business suit and tie. 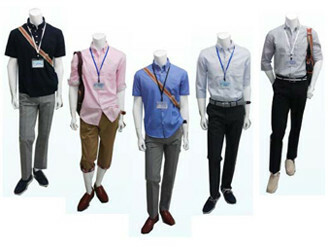 They can wear casually polo shirts or summer bottoms, can work comfortably in a offices. This is a new practice that was born during this decade.